Jesus is sufficient and necessary. He provides all we need, and He alone can provide all we need. The first line of evidence is that He is the Creator with all that implies. The second line of evidence is that He is the head of the church, the authority over the church. Authority is a crucial concept involved in headship. What does it mean that Jesus is head over the church? What does it mean that Christ is the head of man, and man the head of woman? These are just some of the questions answered in this lesson. The deity of Christ is not some abstract doctrine, or interesting curiosity within Christianity. 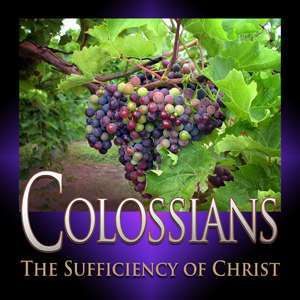 The deity of Christ is necessary. If Jesus was not fully God, then He could not have paid for our sins, and nothing else about Christianity matters. Many cults and non-Christian religions reject the deity of Christ. How would you support the deity of Christ from the Bible? In this lesson you will learn more about the significance of Christ's deity. You will also learn three Old Testament passages and three New Testament passages you can use to demonstrate the undiminished deity of Christ. In a continuation of our study of the sufficiency of Christ, we learn more about the implications of "in all things" with the Doctrine of Reconciliation. But what does reconciliation really mean? And why was it necessary at the cross? This doctrine is so often confusing, misrepresented, and misstated. There is no sense of it in the Old Testament. In the New Testament, Paul is the only author who addresses it. View this lesson and find out what it really means for a Christian to be "at peace with God".